Hair Transplantation – Is It Right For You? Hair loss — it can happen to anyone. Some 50 million men and 30 million women in the U.S. are currently experiencing hair loss, according to the American Academy of Dermatology. This condition can be distressing and humiliating, and people are willing to do just about anything to treat hair loss (except talk about it). The good news is that help is available. 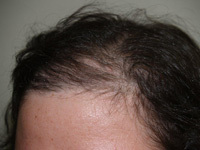 Hair loss treatments like hair transplants can improve your physical appearance and self-esteem. Hair transplants have changed quite a bit over the past few decades, and as a result are now an option for many men and women looking for a hair loss solution. Today, surgeons use individual hair follicles — not clumps of hair — for hair transplants. The result is a fuller, more natural-looking head of hair. This procedure is referred to as micro-hair transplantation, and it involves the use of follicular unit extraction and follicular unit transplantation. 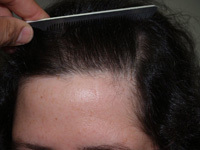 A follicular unit comprises a small bundle of one to four hair follicles and the oil glands, muscles and connecting tissue that surround and support the follicles. Surgeons extract the follicular units from donor areas on your scalp and transplant them into the areas where hair loss is occurring. Hair transplants are generally performed under local anesthesia, but if your hair transplant is more extensive, other anesthesia options may be recommended or considered. 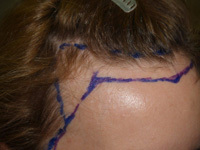 The hair transplant procedure may take several hours to complete, and multiple treatment sessions are sometimes needed. If you are interested in hair transplants, schedule a consultation with a board-certified facial plastic surgeon with hair transplant experience. There are many plastic surgeons out there touting all sorts of qualifications and credentials. To help you sort the truth from the hype, All About Facial Rejuvenation has created a directory of reputable, talented surgeons who are widely respected for their ability to produce outstanding aesthetic results. One of the most important considerations in determining your hair transplant candidacy is the presence of healthy existing hair on the back or sides of your head. Other optimal donor sites include hair on the nape of your neck and above your ears. Your hair transplant surgeon should discuss all your grafting options, along with their pros and cons, during your hair transplant consultation. Hair transplants are not the only option out there, and other hair loss treatments may also be beneficial on their own or in combination with hair transplantation. If you decide to move forward with a hair transplant, your doctor will provide you with a list of medications to avoid before your hair transplant surgery. Certain products such as non-steroidal anti-inflammatory drugs can increase your bleeding risk. Excess bleeding may affect the graft's ability to survive, or cause an infection in the donor site. You may also be asked to take antibiotics before the procedure to lower your infection risk. Follow these instructions carefully, and be sure to ask questions if you are not clear about what is expected of you before, during and after your hair transplantation. Hair transplant results are permanent. That said, it takes about five days for the grafts to take hold, and up to 18 months for full growth to occur. There may be small scabs or crusts where the new hair is implanted. Picking at these can negatively affect your results and cause the grafts to dislodge. They will go away on their own within two weeks. To maximize your results, follow your doctor's advice on when you can resume your normal activities. Hair transplants do have some risks, including infection and scarring. Numbness in the donor and recipient sites may occur, and usually subsides within three months. Other possible risks include skin discoloration and dimpling. Hair transplant cost typically encompasses the anesthesia fee, facility fee and surgery fee. In general, a hair transplant will cost between $3,000 and $15,000 based on the extent of the procedure and your chosen surgeon's fee. 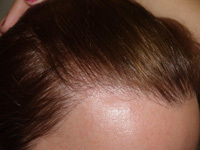 Hair transplantation costs are rarely covered by insurance. If the cost is an issue, ask your surgeon about patient financing.